Most of us consider homeownership as a treasured experience. It is a common dream to own a home someday. While the experience is indeed one that gives tremendous joy, it too has a certain not so joyous side. Most common troubles associated with homeownership are usually monetary in nature. Let’s take a look at some of the statistics that are sure to shock you! This is a very familiar term. Everyone knows that a house will require maintenance, but does anyone know exactly how much? The Census Board believes that, on average, every home requires annual maintenance costs that is around 1-4% of the home’s value. And this percentage steadily rises as the house ages. It’s no big secret that appliance repairs/ replacements are expensive affairs. Maintaining them will be hard on your budget if you don’t have any form of protection or service contract for that. As per the studies, home maintenance makes for the biggest chunk of expense any homeowner is bound to encounter. Research revealed that on an average a $200,000 home will require at least $2,000 in repairs and general maintenance expenses alone. Average appliance repair costs alone range between $100 to $350 in a year. This is precisely why home warranty plans were invented. Such plans cost only around $200-$600 a year and they will provide you with discounted repairs/replacements, which in the long run would help you save thousands of dollars! This too should be a familiar term. The Census Board says that between the years 2007-2011, around 60% of the counties in U.S. reported the average property tax to be somewhere around $500 – $1,500. Here’s a fact to shock the living daylights out of you, the average annual property tax in Westchester county, NY was $9,647. Worried? Now this one must not have crossed your mind. Almost all homes in U.S. are equipped in heating and cooling units. As per surveys, home’s using electricity for heating will spend $900, homes using propane $1,666 and homes using heating oil will spend $2,400 on average heating costs. Cooling thankfully runs on electricity alone and research suggests that on average a home incurs around $300 annually by using air conditioning systems. Yet another one that makes up for one big chunk of money. HVAC repairs, on average cost around $400 a year. Furnace repairs sometimes cost upto $800 a year. 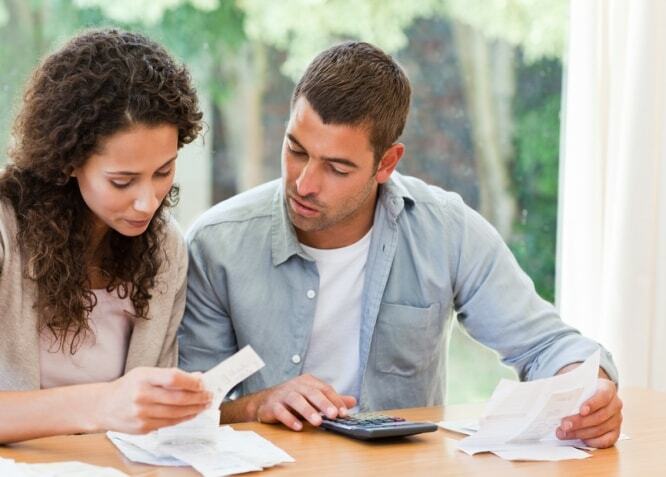 At least for the sake of avoiding such expenses for HVAC units, we recommend that you purchase a home warranty plan. $300 a year for a host of appliances is better than $800 a year for one unit. Is it not? Sadly this list does not cover all the expenses that a homeowner has to meet, it lists only the main ones. We strongly recommend our readers to go through the various benefits of home warranty and to purchase one if your home and its contents are 4+ years old. You can even use our website to obtain a free quote and to take a look at top 10 home warranty companies. Our readers are encouraged to approach us should they have any concerns or queries. We hope you enjoyed reading this article. Do come back for more. Cheers! Prev Post:Are Home Warranty Premiums Tax Deductible?